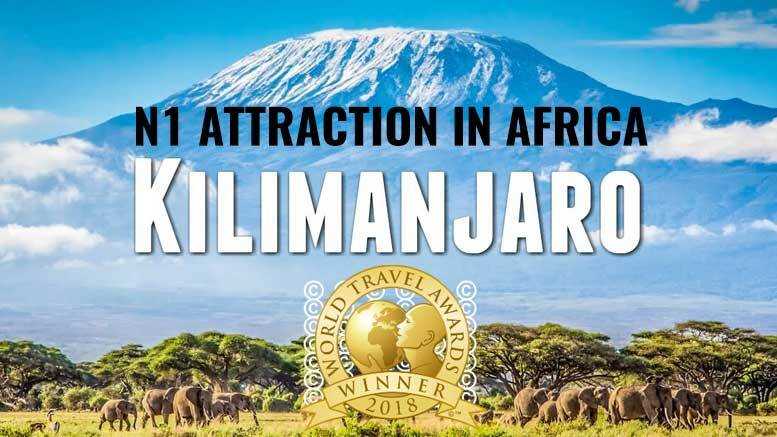 Mount Kilimanjaro in northern Tanzania won the recently held World Travel Awards for Africa’s Leading Tourist Attraction category. This is the 4th years in a row that Kilimanjaro wins in this category, and the 5th time since this category has been included in the awards. Devota Mdachi, Managing Director of the Tanzania Tourist Board (TTB) commented that the award is a clear testimony of the country’s richness in terms of tourist attractions. Kilimanjaro is Africa’s highest mountain, 4,900 meters high from its base, and 5,895 meters above sea level. According to the latest International Visitors’ Exit Survey Report of 2016 published by Tanzania’s National Bureau of Statistics (NBS), visitors climbing Mount Kilimanjaro were mostly from the United Kingdom, the US, and Germany. The surrounding Kilimanjaro National Park generated USD51 million in revenue in 2013. However, in July 2017, Tanzania imposed a Value Added Tax (VAT) of 18% on tourist services, pushing the country’s tourism package cost up, and reducing its competitiveness against similar offerings from the region. In addition, in December 2017, the Ministry of Tourism of Tanzania announced that in January 2018 a new Tourism Agency Licensing (TTBL) structure will be introduced, making it more affordable for local smaller operators, but more expensive for larger foreign ones. In October 2018, tourist stakeholders who attended the Swahili International Tourism Expo (SiTE) held in Dar es Salaam, revealed that tourist arrivals have decreased in recent years and that in their view the negative trend will continue until the VAT issue is addressed by the Government. Tanzania received 1.28 Million international tourists in 2016, up by 12.9% compared to 2015. However, no statistics are available yet for 2017. The county’s tourism earnings rose by 12.1% to USD 2,131.6 million in 2016 from USD 1,902.0 million recorded in 2015, equivalent to 17.6% of the country’s GDP. According to Tanzania’s National Five Years Development Plan 2016/17-2020/21, the government envisages a GDP share 18.3% in 2020, mainly through the diversification of tourism products (southern circuit, identification of new areas, heritage tourism), infrastructure improvement (roads, airports, seaports), and training and skills development.